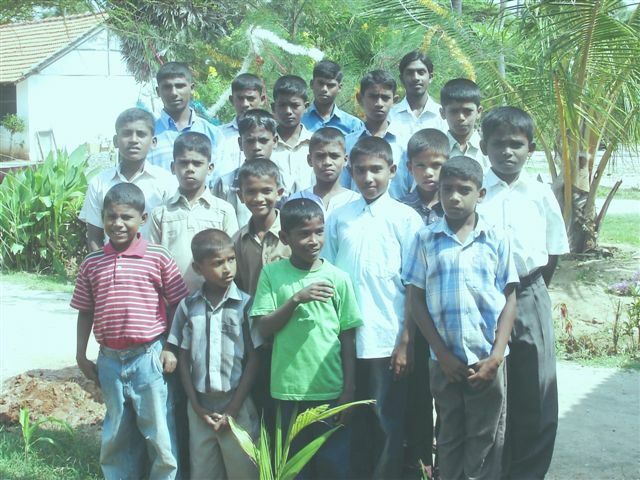 Anpu Sahotharar Illam (ASI) is an orphanage, which opened in January 2001. The orphanage is located in Mannar town area in Mannar district, Northern Province of Sri Lanka, an area affected by ethnic war. Orphans and destitute children from weaker section of the society are admitted. They are given food, clothes, medicine and other kind of help to become good citizens. At present we have 20 boys aged from 6-18. They come from various cultural and religious backgrounds. School children are admitted to the nearby recognised schools. We provide mental, physical, emotional care and guidance. We teach them spiritual and moral values.